For more than 50 years, the Supplemental Nutrition Assistance Program (SNAP) has helped millions of Americans to avoid hunger, improve their health and alleviate the consequences of poverty. Two other federal programs Women, Infants, and Children (WIC) and School Food have for decades provided similar protections for pregnant women, new mothers and their young children and school children, respectively. From its earliest days, the United States has debated immigration policy, at times restricting access for some and at other times welcoming groups from many nations. Today, President Trump and Congress are acting to reverse two American traditions, providing food support for the hungry and welcoming those from other nations. New York City and State have both the obligation and the opportunity to chart new paths in creating city, state and community programs that reaffirm these core American values. In its new report, Expanding Immigrant Access to Food Benefits in New York City: Defining Roles for City and State Government, the CUNY Urban Food Policy Institute examines how the intersection of these two trends—restricting immigration and cutting back food assistance—is affecting immigrants in New York City. Our goal is to provide evidence that can inform New York City and State policy initiatives that can protect and restore the basic American values of feeding the hungry and welcoming immigrants. We also hope to join with others around the country to ensure that immigrants are treated fairly and provided with the basic resources and protections needed to maintain good health. Based on interviews with frontline workers and managers at New York City immigrants’ rights and food security organizations and a review of experiences in other U.S. cities, the report recommends four strategies for protecting and expanding access to public food benefits for immigrants in New York City. Create and expand programs with city and state funding that bring food assistance to immigrants with minimal or no requirement for documentation. Develop and expand multi-pronged communications and policy initiatives to reduce stigma against immigrants. Strengthen the linguistic, cultural, and organizational capacity of community organizations and social service agencies that serve immigrants. Improve outreach, enrollment, and education initiatives of community and public agencies that serve immigrants to ensure that all immigrants are enrolled in food programs for which they are eligible and that they are fully aware of their rights. By concretizing and acting on these recommendations, immigrants’ rights and food security groups, city and state government and others can demonstrate an alternative to the policies coming from the President and Congress. Since its implementation, FRESH has supported the construction, renovation, expansion, and equipment purchases of 27 supermarkets. Yet during this period, diet related health indicators have barely budged. Fruit and vegetable consumption by adult New Yorkers remained inadequate between 2008 and 2015. Moreover, disparities in fruit and vegetable consumption between whites and Blacks increased during this period and decreased only modestly between whites and Hispanics. Disparities in overweight and obesity have also persisted, with about two thirds of Black and Latino adults, half of white adults and about a third of Asian/ Pacific Islander adults reporting they were obese or overweight in both 2008 and 2015. A key question that the NYC Council’s Subcommittee on Zoning and Franchises explored in a recent oversight hearing on FRESH [“REFRESH: Assessing the zoning and financial incentives of the Food Retail Expansion to Support Health program,” 6/21/2018] was whether and to what extent the policy can achieve its goal of supporting health in its current incarnation. This Policy Brief, which informed testimony that the Urban Food Policy Institute presented to the Council, illustrates that FRESH needs to be re-designed in several key ways. Several other health and food advocacy organizations that testified at the REFRESH hearing made similar recommendations. Between 2012 and 2016, New York City experienced a 7.3% decline in participation in the federally-funded Supplemental Nutrition Assistance Program (SNAP), despite 1.2 million city residents living in food insecure households during that time, a level higher than a decade ago. A recently published study by Hunger Free America and the CUNY Urban Food Policy Institute (SNAP Declines Yet Hunger Persists: NYC Caseloads 2012-2016 and the Need to Ease Access to Benefits) analyzed data on SNAP caseloads, economic trends, and surveys of SNAP applicants and participants to better understand the large drop in SNAP participation over this period and to identify strategies to improve access to SNAP benefits for all New Yorkers in need of food assistance. The report’s findings confirmed that the reduction in SNAP participants mirrored trends at the state and national level and was statistically associated with falling rates of poverty and unemployment, a positive outcome of New York City’s economic recovery from the Great Recession. However, many New Yorkers who struggle with poverty and food insecurity are not currently receiving these benefits. Additionally, SNAP prevalence rates varied considerably from community to community, differences that indicate the need for closer scrutiny of neighborhood level data, particularly neighborhood-level SNAP eligibility rates. Such analyses can determine whether the observed changes reflect demographic and economic changes (and particularly issues related to immigration and language) that warrant different forms of outreach and case management. The trend analysis and results of online and in-person surveys suggest that additional City efforts beyond those implemented by HRA over the past few years are warranted to ensure that all eligible New Yorkers receive SNAP benefits. These include: tailored outreach to specific communities and demographic groups, such as older adults and those who may fear increased federal scrutiny of immigrants and their families; analysis of the dynamics of SNAP participation at the community scale to facilitate interventions targeting the needs of specific communities, particularly those undergoing economic and demographic change; and advocacy for policies to increase SNAP eligibility. On June 11, CUNY Urban Food Policy Institute Research Director Nevin Cohen participated in a two-day kickoff meeting for the Sustainable Urbanization Global Initiative (SUGI), a global research program to develop innovative solutions to urban problems at the nexus of food, water, and energy (FEW). Representatives of the 15 SUGI projects, which are composed of multi-disciplinary teams from 20 countries on 6 continents, came together to discuss methods, strategies, and opportunities to collaborate. Dr. Cohen’s project (FEW-meter) focuses on the “metabolism” of urban farms and gardens. Working with researchers and farmers in five cities (Dortmund, Gorzow, London, Nantes, and New York), the FEW-meter team will create a digital platform to measure and analyze the ecological and social impacts of more than 40 different urban agriculture projects. 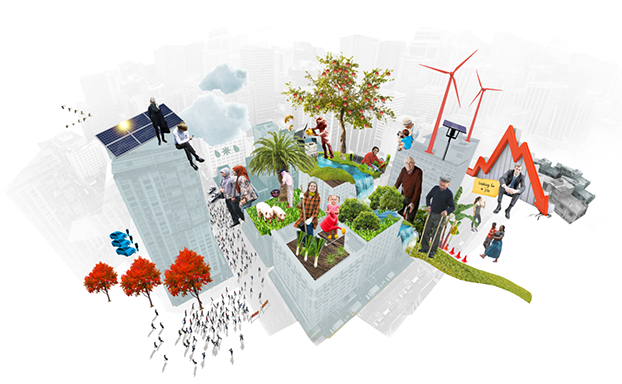 The aim of the three-year study is to understand urban agriculture’s role in addressing food, water, and energy challenges in cities, and to help farmers improve the resource efficiency and social benefits of their projects. Funding for the US research comes from the National Science Foundation. On June 19, Dr. Nevin Cohen was invited to participate in a workshop at Cardiff University to identify the roles cities can play in providing greater food security and ecological sustainability. Twenty experts in food systems, led by Dr. Ana Moragues-Faus, Cardiff research fellow, used a social-ecological framework to explore the governance processes and required indicators and variables to produce food systems that lead to healthier, more equitable outcomes. The workshop was followed by a public forum to discuss the past decade of urban food policy and possible levers to support a New Urban Food Agenda. Nevin Cohen presented the findings of a recently released Institute report and journal article reflecting on the past decade of food policy governance in New York City. Colleagues from Cape Town, London, Toronto, and Cardiff reflected on how cities actively shape and are shaped by the global food system, including through new and growing international city networks such as the Milan Urban Food Policy Pact. 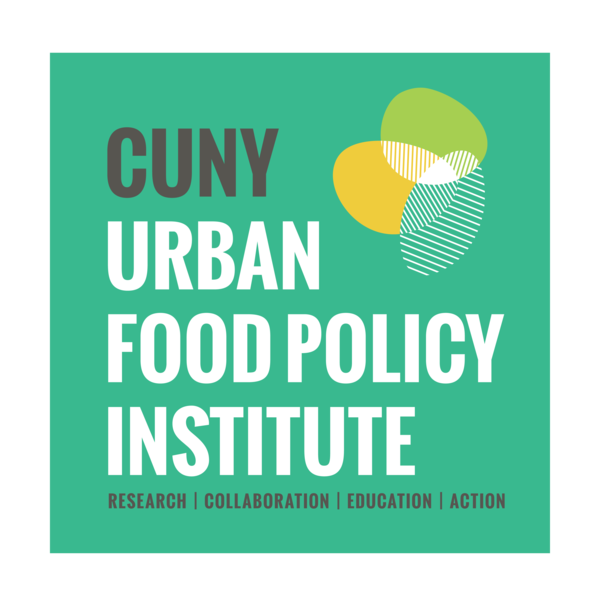 The CUNY Urban Food Policy Institute is pleased to welcome Rositsa T. Ilieva as the new Director of Food Policy Monitor. For nearly a decade, Rositsa’s scholarly work has focused on examining the integration of just and sustainable food systems goals in the domains of urban policy, design, and planning from an international perspective. Rositsa is author of Urban Food Planning: Seeds of Transition in the Global North (Routledge, 2016) and holds a Ph.D. in Spatial Planning and Urban Development from the Polytechnic University of Milan, Italy and a graduate certificate in GIScience from Hunter College of the City University of New York. Her prior work has examined urban food policy in the United States, Europe and elsewhere. The Institute is pleased to announce that Katherine Tomaino Fraser has joined our team as Director of Evaluation. She is a Registered Dietitian and specialist in nutrition research and evaluation with nearly a decade of experience across clinical, community-based, and large-scale public health interventions. 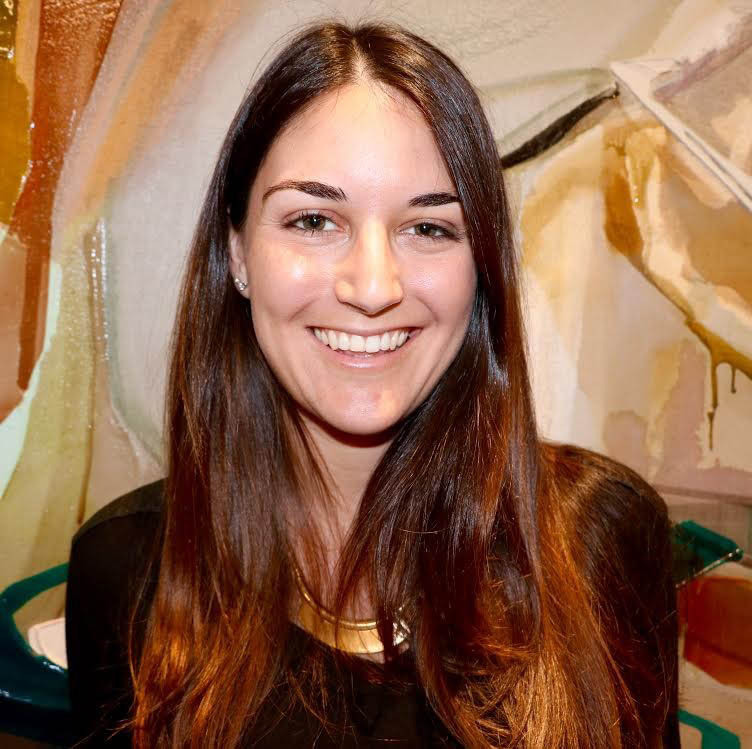 Prior to joining The Institute, Katherine led evaluation efforts for the Laureus Sport for Good Foundation, supporting a portfolio of over 35 program partners in strengthening their evaluation efforts and capturing high-quality intervention data. She has worked on a range of urban health initiatives domestically and abroad, most recently consulting for the New York City Department of Health on its sodium reduction intervention, and on nutrition-focused projects in locations as diverse as Lima, Peru and the University of Alma Ata in Yogyakarta, Indonesia. Katherine has a passion for food security and urban farming initiatives, and even curates her own small Brooklyn farm featuring three laying hens. She has a B.S. in Nutrition from Rutgers University and a M.S.P.H from the Johns Hopkins Bloomberg School of Public Health. 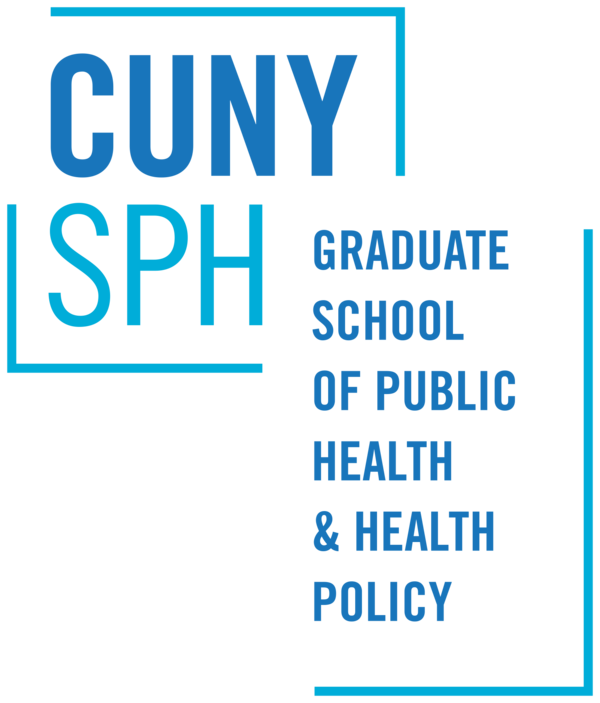 Congratulations to all of the students who participated in the CUNY Food Security Advocates Project from John Jay College and Hostos Community College - THANK YOU for a great semester!! !